Welcome to the NACA Forums! Please keep in mind that this is a public forum. Any derogatory, inflammatory or questionable content will be removed by administrators. Also, please DO NOT post any personal information, such as passwords, NACA ID numbers, or Social Security numbers; NACA Staff will never require this information on the Forums. Maybe not in the alphabet, but here in the forum, F comes before E. In other words, please post your question in the Forum rather than circumvent the system and send an Email to an address you happen to find in the forum. The forum exists for several purposes, not the least of which is the sharing of information that may be beneficial to many of our members. Most of the questions we receive are more generic in nature than most people think. By posting a question in the Forum first, it can be most likely answered here in the Forum unless it involves specific information in your file. By handling the question or problem here whenever possible, other members experiencing a similar problem could get the answer and help they need more quickly and without making a single additional keystroke. If responding to your post does require specific information, you will be advised on the best means of contact with us so any personal information can be communicated securely and confidentially. The NACA Forum or other NACA social media are in no way a substitute for NACA Counseling and Advocacy services whether in the Home Save or Purchase Programs, and information found here should not be considered a replacement for communicating with a NACA counselor, Member Services rep or any other NACA representative. While much of the information here is general in nature and applicable to most situations, specific questions regarding your file cannot be addressed in this or any other public forum for privacy reasons. Additionally, every file has unique factors and issues of its own. Therefore, you should always attempt to communicate your questions and concerns with your Mortgage Consultant in the Purchase Program and with a Counselor, Member Services or other Member Assistance Program (MAP) representative. Our Member Services Department can be reached at 425-602-6222 from 8:30am to 5:30 pm Eastern Time Monday through Friday. Another serious issue is the tone used in some messages. We eagerly invite anyone who is having what they perceive to be any sort of problem with the NACA process or on line system to use the NACA Forum and social media channels as a means of reaching out to us with those concerns so we can help solve them in whatever way we can. However, please remember to compose your message in the same manner in which you would like to receive the response. As noted above, “derogatory, inflammatory or questionable content” has always been grounds for posts to simply be deleted without response, and will continue to be so. Deletion of any and all messages from any individual or group of people is at the sole discretion of the Forum administrators. This includes sarcasm as well as insulting and accusatory statements. While we are in fact eager to help with any problems that may occur, if you can’t write without being cynical, you may want to hold off a bit until you can be more rational in expressing your concerns. While this one should be common sense, it is surprising how many people will post their name, NACA ID number and even their telephone number in a forum post or even on Facebook. Please remember that what you write here can be read by anyone on the internet. This is not a membership-restricted site, so please do not post any information about yourself here that you would not announce over a microphone to a crowd of twenty thousand people. Again, that personal information starts with and includes your NACA ID number. Never post it or any other personal information in a public forum, here or anywhere else on the web. Oh, By the Way, Who Am I Talking To? Under other circumstances, this would actually be funny. We far too commonly receive emails from members who go to substantial effort to make sure they have provided a wonderfully detailed explanation of their problem or question to insure we have all the information necessary to address their concerns… Then forget to include their NACA ID number, leaving us in the dark or doing detective work to find out which file we are dealing with. It’s really a simple, common sense rule. NEVER post your ID in a public place, but ALWAYS include it, every time, in private communications such as an email or the Live Chat system available through the NACA website. While we realize you intend to be thorough by doing so, posting the same message to the Forum, our Facebook page, and emailing it to a Forum administrator is actually counter-productive. Most likely, all three messages will go to the same person, which means answering the same question for the same person three separate times. This redundancy only slows down our response time to you and everyone else we are trying to help. So please limit yourself to one method when communicating with us. Likewise, posting the same message in multiple threads in the Forum will have the same effect as posting through several different media. Each still has to be addressed and responded to separately, which only slows down our response time and can confuse members who may then falsely think that they have read the entire thread previously and possibly miss out on some important information that could have a bearing on their own file. Similarly, multiple messages each day with minor or random questions bog things down too. We want to answer those questions for you, but in such a circumstance, please send them all in one daily message if possible. By posting in this Forum, you certify that you have read and agree to abide by these rules. Failure to comply with these rules will result in the deletion of offending posts and the writer potentially being banned from this Forum and other NACA social media. As you can see, these are really just common sense rules, largely based on common courtesy. Abiding by these guidelines will help the NACA staff help you in whatever means possible and encourage a positive, free flow of information through this Forum, which is its most fundamental purpose. WHEN: 8:30 a.m. prior to start of public hearing at House Financial Services Committee. (WASHINGTON, DC – April 8, 2019) – On Wednesday April 10th at 8:30 a.m. in front of the House Financial Services Committee Hearing room at 2128 Rayburn, NACA will hold a press conference in anticipation of testimony by the mega bank CEOs. NACA is bringing hundreds of homeowners and homebuyers to address the lack of lending to low- and moderate-income borrowers since the financial crisis. This hearing must hold the mega banks accountable and force them to detail their lending programs. This is particularly important given that lending to minority borrowers is at an all-time low after the mega banks stole a disproportionate amount of their equity without incurring any personal accountability. America has demonstrated a successful model that can be done on a large scale. Bank of America has committed $10 Billion to NACA’s Best in America Mortgage. This mortgage requires no down-payment, no closing costs, no fees at a below market fixed rate. Additionally, it is underwritten using character-based criteria not the traditional credit score, debt ratios and down-payment. Bank of America is the only major financial institution that puts a significant amount of its own funds at-risk in portfolio mortgages when lending to low- and moderate-income borrowers. This stands in stark contrast to Wells Fargo who only lends to low- and moderate-income borrowers using government programs while reserving portfolio lending to high wealth borrowers. Bank of America’s partnership with NACA has paid dividends with 85% of the homeowners being minority, 70% with incomes less than 80% of the median for the area they purchase, and over 50% with a credit score less than 650. The results are extraordinary with one of the lowest foreclosure rates in the country at 0.0021%. This full documentation mortgage, where everyone receives the same fixed rate, shows that lending to working people with a fixed affordable payment creates long-term financial stability and wealth. The Neighborhood Assistance Corporation of America (NACA) is a non-profit organization dedicated to economic justice through home ownership and community action. 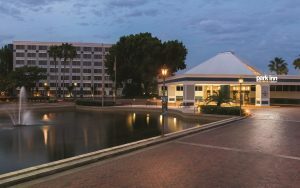 Founded by economic advocate Bruce Marks over thirty years ago, NACA is the largest HUD certified counseling agency with more than two million members nationwide. Through its Best in America Mortgage and Home-Save programs, NACA has helped many thousands of homeowners modify their unaffordable mortgage and low-to-moderate income homebuyers obtain a mortgage with no down-payment, no closing costs at a below-market fixed rate. www.naca.com. Event flyer. #AchieveTheDreamNACA. 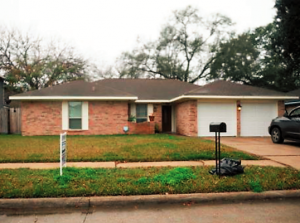 Houstonians have had more than their share of housing troubles over the past decade. The Great Recession and the mortgage crisis, Hurricane Harvey and an influx of new residents have combined to create a tight housing market. Most severely affected are low to moderate income homebuyers. Tight lending requirements and large down payments have made this a housing crisis. NACA is the one organization that has broken through these barriers to make home ownership possible for working people. NACA, with its fifty offices nationwide including Houston, Dallas and San Antonio, has made affordable homeownership a reality for thousands of primarily low-to-moderate income people with its Best in America Mortgage: no down payment, no closing costs, no PMI and without the consideration of one’s credit score. Everyone receives the same below-market interest rate as noted by Forbes Magazine in their comparison of the best low down payment mortgages: “There is one exception, NACA, that charges the same rate regardless of the credit score”. NACA, which is the largest non-profit HUD certified organization, will be conducting a massive homeownership event from Thursday March 21st through Sunday March 24th at the Greenspoint Mall for thousands of homebuyers (click here for event flyer). All participants will receive comprehensive counseling and access to NACA’s Best in America mortgage, with Bank of America committing $10 Billion to this one extraordinary mortgage product (click here for CNBC story). Jose Amezcua is the sole breadwinner for his family of five and has often worked two jobs to make ends meet. Having never been able to save enough money for a down payment, he believed like everyone in his family before him that he could never own a home. That outlook changed when he heard about NACA’s program featuring no down payment and no closing costs. Amezcua now owns a 1,750 square-foot three-bedroom, two bathroom Pasadena brick home with a fireplace, fenced-in back yard, 2 car garage and other features. The incredible 0.125% fixed interest rate gives him a very affordable monthly payment of just under $1,000 that includes taxes and insurance and makes him the first person in his family to own his own home. 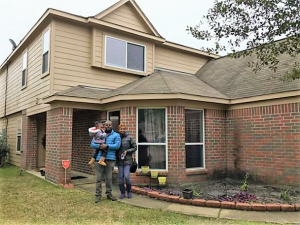 After saving for three years to take advantage of NACA’s interest rate buy down program, she purchased her northeast Houston home, also with an amazing 0.125% fixed interest rate. She also now is a homeowner with a payment $350 per month less than she was paying in rent. 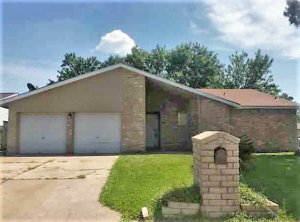 Their 3.625% fixed rate loan through the NACA program helped them obtain a home in an area they liked that was also convenient to the Katy Freeway. 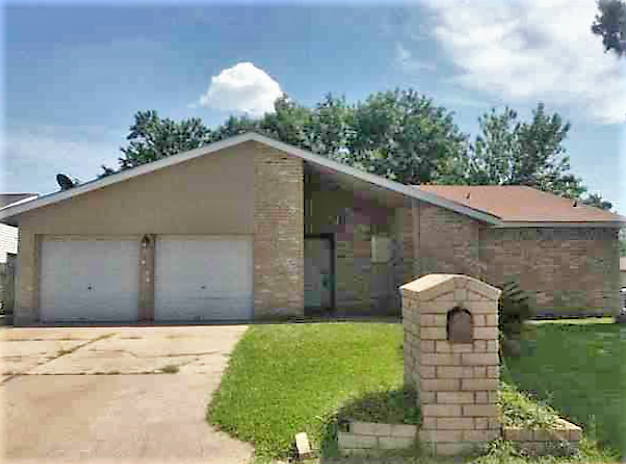 Three bedrooms and two-and-a-half baths will work well for their growing family, and the fenced-in yard will provide a safe place for their children to play. Madeline Goshay came to NACA as a “boomerang buyer”, someone who had lost their previous home to foreclosure. NACA helped her return to home ownership with a 3.625% fixed rate. 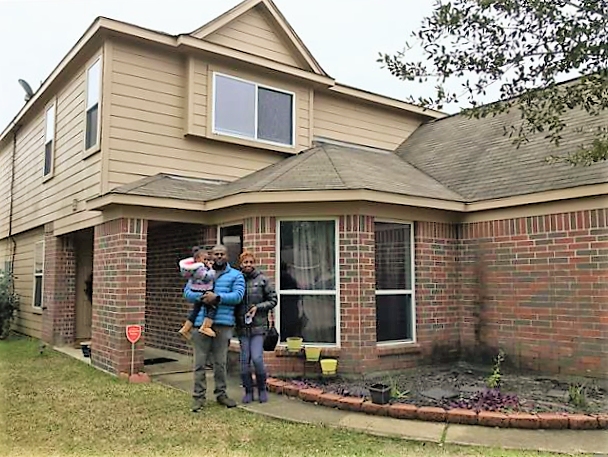 Davian Smith had set for himself a goal to become a homeowner before the age of 30. In spite of a below-average income and significant student debt, he reached his goal at 29 with a 2.125% interest rate because of the NACA program. Eliud Sierra is a food service worker for the Houston Independent School district, whose income is less than one third of the median household income for the Houston metropolitan area. His 0.0625% interest rate made homeownership possible for him with a payment of just $700 that includes principal, interest, taxes and insurance. They are just a few of the hundreds the Houston area whose lives have been dramatically changed for the better by achieving the American Dream of homeownership through the NACA program. These homeowners and many others are available for interviews in advance of NACA’s Achieve the Dream Event, which takes place March 21-24 at the Greenspoint Mall. Please contact NACA Media Coordinator Tim Trumble at 671-947-2632 or CEO Bruce Marks at 617-835-4477 for more information and to arrange interviews. WHEN: Media Opportunity – Saturday, February 16th, 11:00 a.m.
As Forbes magazine stated in their comparison of the best low down payment mortgages, “There is one exception, NACA, that charges the same rate regardless of the credit score”. Bank of America has committed $10 Billion to the NACA mortgage program. The Orlando Achieve the Dream event runs through Sunday, February 17th from 8:00 AM to 8:00 PM each day. The event is open to all prospective homebuyers, and NACA services are free of charge. Previous NACA Achieve the Dream events have been spectacularly successful with more than 5,000 participants at each one across the country and thousands of pre-approvals. IT’S HERE! NACA announces our first Achieve the Dream event of 2019! 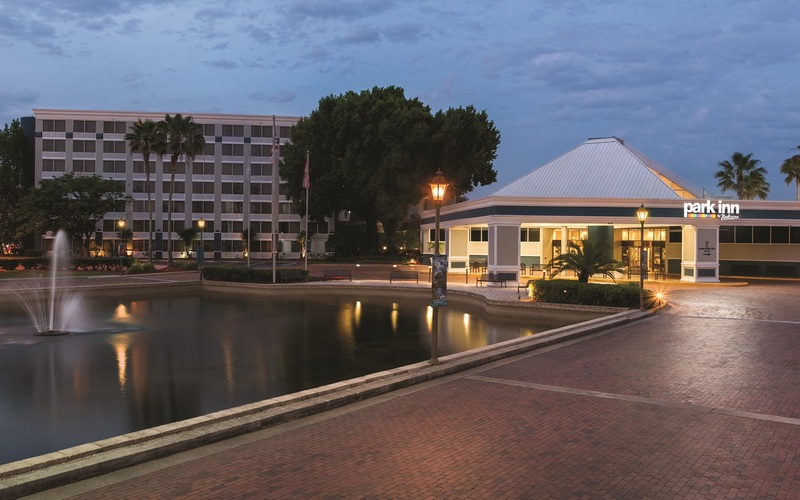 We will be in the #ORLANDO area February 14th through 17th at the Park Inn Resort & Conference Center, 3011 Maingate Ln, Kissimmee, FL 34747. Doors open 8:00 am to 8:00 pm each day. Register now at www.naca.com! 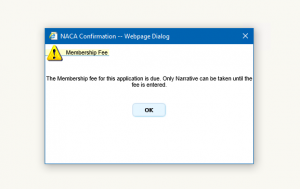 As a result of the ongoing Federal Government shutdown, NACA will delay the requirement of Tax Transcripts for new Members. Please note that the requirement for a tax transcript for the past two years’ returns is only being DELAYED, not SUSPENDED. All affected members will need to obtain tax transcripts from the IRS as soon as the shutdown ends or an appropriations bill is passed that allows the Treasury Department/IRS to re-open. This delay does not apply to Members that have not been able to verify they filed at previous requests. Members must still submit their completed and signed tax returns from the past two years. For the time being, we will accept a signed statement that reads “I attest the attached 1040s are what I filed, and I will obtain transcripts when they become available” in lieu of the accompanying transcripts. 2018 W2s are still Required as of 1/31/2019 for all Members that had W2 income in 2018. This is for both Credit Access and Qualification submissions. 2018 1099s are still Required as of 1/31/2019 for all Members that had 1099 income in 2018. This is for both Credit Access and Qualification submissions. All Self Employment Members must have 12 months bank statements in their file to determine affordability. THE GOVERNEMNT SHUTDOWN HAS NOT CHANGED THE FEDERAL TAX FILING DEADLINE OF APRIL 15TH. 2018 Form 1040s are required to be submitted to your NACA file as soon as either (1) indication taxes have been filed (IRS deposit check, payment check, payment to tax preparer indicated in bank statements, tells their counselor they filed, etc.) or (2) by April 15th, 2019 , whichever comes first. We do not accept the filing for an extension (form 4868) as a filing. Most people that file for an extension wind up owing taxes and we need to verify they have the minimum required funds to purchase after taxes are resolved. PLEASE REMEMBER that NACA employees are neither authorized nor qualified to give tax advice. All NACA Members currently in the NACA Purchase Program or Home Save Program who are W-2 wage earners or 1099 employees/independent contractors must have their 2018 W-2 and 1099 forms submitted to their NACA file no later than Thursday, February 1, 2018. These forms are required by law to be delivered to the wage earner no later than January 31st, and must in turn be submitted to your NACA file immediately for your file to continue forward in the process. Files that do no have these documents included by February 1 may not continue in the NACA process, and may result in the cancellation of counseling appointments until the documents are received. Likewise, completed 2018 tax returns must be in the file no later than this year’s filing deadline, Monday, April 15th. Files without completed tax returns on April 16 are also subject to suspension until documents have been submitted. This includes members who have filed a Form 4868, Application for Automatic Extension of Time to File. These documents are required in a timely manner so we may confirm your income and affordability. Your cooperation in submitting these documents is greatly appreciated and will prevent you from unnecessary delays in your journey to home ownership or an affordable modification. Any questions may be directed to NACA Member Services at 425-602-6222 from 8:30 a.m. to 5:30 p.m. Monday through Friday.